Pets can be a source of love, entertainment and joy. As a responsible pet owner, you should return their love and provide them with the proper care they need. Unfortunately, there are certain pests that can find their way into your home via your cat or dog. These pests can be an annoyance and a health concern for you, your pets and everyone living in your home. There are some steps you can take to eliminate a pest problem, prevent a pest problem or reduce the chances of having recurring pest related issues. Internal parasites such as tapeworm, hookworm, roundworm and heartworm can pose serious health risks for your dog if left untreated. Veterinarians can examine your pet to determine if it has any of these parasites. They can prescribe treatment for your pet, if necessary, and recommend safety precautions to prevent parasites from being transmitted to you or your family members. Administering year-round prevention for heartworms is the most effective way to keep your dog from suffering the debilitating effects this parasite causes. 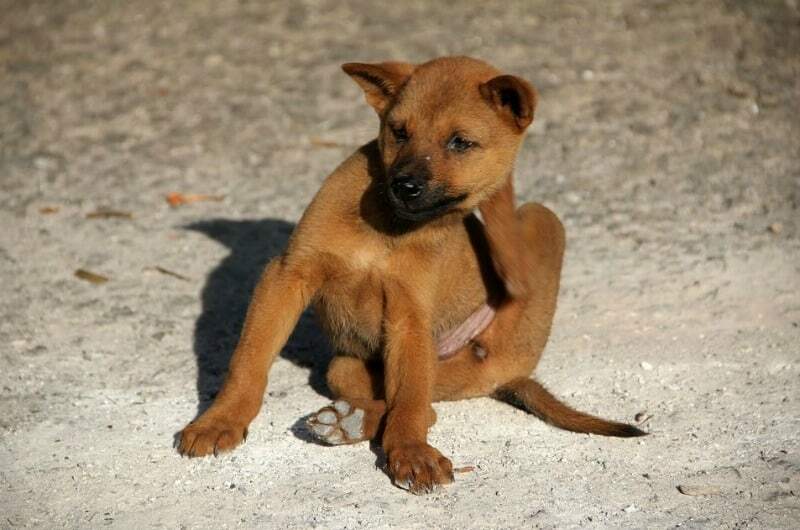 Fleas, ticks and mites are a health hazard and a nuisance to you and your pet. To avoid the discomfort, annoyance, health concerns and household infestation that can result from fleas, ticks and mites on your pet and in your home, it’s best to begin using a method of prevention as soon as you bring a pet home. You and your veterinarian can discuss the various preventative methods to determine what is best for your pet and your budget. Regular bathing and grooming will also help eliminate external parasites. Keeping your pet parasite-free is important to your pet’s health and your family’s health. If you are moving into a new home or have a flea or mite infestation in your home, it’s best to utilize the services of a pest control company like Craig & Sons Termite & Pest Control, Inc to handle the problem. When choosing a pest control company, you’ll want to be sure they use non-toxic products for the safety of your kids and pets. With the many types of parasite prevention available, there’s no reason to deprive yourself and your family of the pleasures that come from having a pet. A discussion with your vet and the use of parasite prevention can take away your worries about parasites and let you enjoy the love and the many hours of enjoyment a pet adds to your life.